We offer high quality driving lessons in Goodmayes with driving instructors that have really good pass rates compared to most driving schools in Goodmayes. 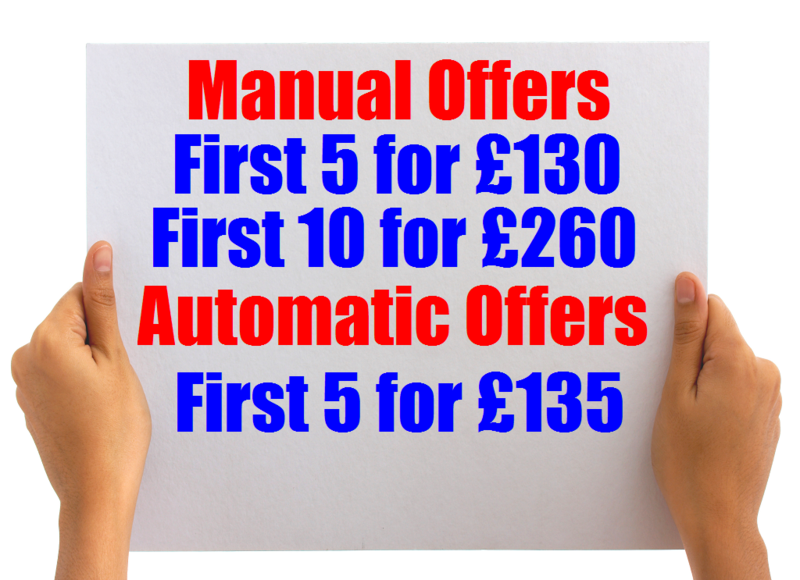 Our prices are also the most cheapest for driving lessons in Goodmayes and we have the most pass pictures of learners passing first time at Goodmayes practical driving test centre. We have been teaching learners driving lessons in Goodmayes for over 25 years now and have built our reputation on making sure we only have the very best high quality driving instructors teaching driving lessons in Goodmayes for our driving school. We also teach using a learner centred approch as this is the best way to learn how to drive in Goodmayes. Here is what one of learners has to say about our driving lessons in Goodmayes after passing. To book your driving lessons in Goodmayes and surrounding areas call our driving school in Goodmayes on 0208 220 7402 or Call or Text 'Driving Lessons Goodmayes' to 07943003001 and a member of our team will get back to you. If you have checked out our Reviews and our prices and read our faq's then simply book online and wait for one of our driving instructors to call you after 6pm to book your Goodmayes driving lessons in. We are A Class Learners your local driving school in Goodmayes - We have driving lessons in Goodmayes available with Qualified Experienced and Professional driving instructors in Goodmayes that you will be really happy with. Our driving instructors are all Green Badge holders, which is proof that all of them are fully qualified. A good way to tell if a driving instructor is not fully qualified is they may have a pink badge which is a sign of a trainee driving instructor. So make sure you check this before taking driving lessons in Goodmayes. Hurry & Book While These Special Offers Last! Did you know we are your number one driving school in Goodmayes? We offer the best prices for driving lessons in Goodmayes. All of our driving instructors are fully qualified and have alot of experience in teaching you how to drive in Goodmayes. You will be happy to know that our pass rates are high because our driving instructors are professional and follow the DVSA syllabus. We want you to pass in the quickest time, and we want you to pass first time so that you can recommend our expert driving instructors to your friends and family. Call 0794 300 3001 or 0208 220 7402 To Book Your Driving Lessons. Change your Life ... Learn to Drive. We only have Fully Qualified DVSA approved expert Driving Instructors providing professional driving lessons in Goodmayes. We have fully qualified Male and Female Driving Instructors in Goodmayes and surrounding areas that are patient, reliable and friendly. Our Driving Instructors use track records so that you know exactly at which stage of learning you are at every step of the way. Our local driving instructors have years of extensive experience of driving lessons in Goodmayes and know al the Goodmayes test routes. We can help you get the right driving lessons package that suits you. Our driving instructors have experience with all types of learners from beginners to new drivers and learners who have had a few driving lessons already to driving test retakes. Refresher driving lessons in Goodmayes if you have a full driving licence but have not driven in a while. Defensive driving if you have been in a car accident and need more driving lessons to build you confidence back on the roads of Goodmayes, or you have been disqualified from driving and need to retake your driving test to get your Driving licence again. If you have driven before and had driving lessons from another driving school in Goodmayes we offer an assessment driving lesson to let you know how many lessons you need to be test ready. We also offer a fast track get an earlier driving test cancellation date for those looking for and earlier driving test date please visit www.shortnoticetests.com for more information. Our Driving Lessons are a minimum of 1 hour. You can take as many hours per week depending upon your requirements and learning to drive needs. We only offer one to one driving lessons that are tailored to meet your learning needs. You will not be disappointed with our experience and expertise in teaching you the driving skill you need to pass your driving test. Here at A Class Learners we also offer intensive driving courses for those who want or need to pass there driving test quickly and get their driving licence. If you have driving experience our driving instructors will assess you first and let you know how many lessons you will need to be fully ready for your driving test. If you are a beginner, the DVSA advises that it can take up to 40 driving lessons to be ready for your driving test. We have found that everyone is different when it comes to learning how to drive and here at A Class Learners the number one driving school in Goodmayes we will make sure you get tailor made driving lessons to suit you and your needs. To book your lessons call us on our Landline: 0208 220 7402 or call us on our office Mobile: 0794 300 3001 Please see our cheap driving lessons special offers on our Prices Page.